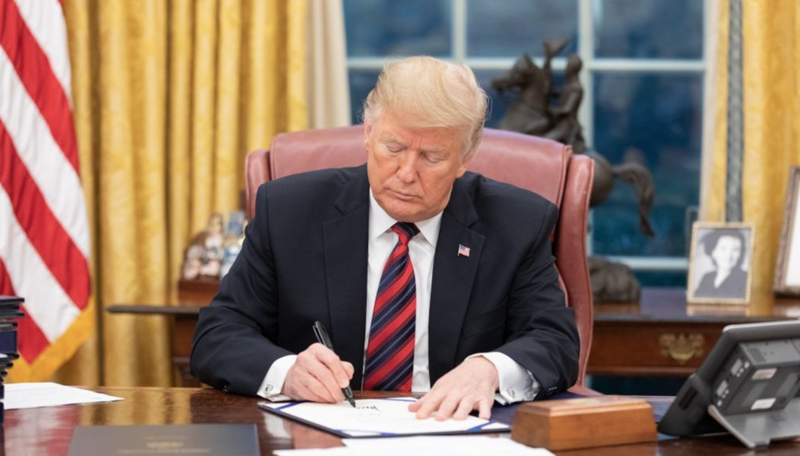 President Trump signed The Modern Fish Act into law on Monday, giving recreational boating and fishing advocates even more reason to celebrate the New Year. The Senate unanimously passed the bill, formally known as the Modernizing Recreational Fisheries Management Act of 2018, on Dec. 17. Many of the bill’s provisions were inspired by the Morris-Deal Commission Report, released in 2014. Many of the proposed improvements for federal saltwater fisheries management in the Morris-Deal Report had been debated for some time before then, wrote Mike Leonard, vice president of government affairs for the American Sportfishing Association. “For the recreational fishing community to achieve this legislative victory in these challenging political times speaks to the effectiveness of the coalition of organizations working on your behalf, the power of the sportfishing industry when it makes its voice heard and the increasing recognition among political leaders of recreational fishing’s importance to the nation,” wrote Leonard. “We stand here today at this historic juncture and w/ this tremendous opportunity ahead of us largely because of your engagement,” said Dammrich in a video, thanking the industry for helping pass The Modern Fish Act into law. The NMMA’s grassroots political effort, Boating United, had record engagement last year, according to the group. In 2018, 4,428 advocates contacted their members of Congress; there were 18,615 emails sent to Congress, 242 calls made to Congress, 337 posts on social media, and 1,302 petition signatures, according to the NMMA.